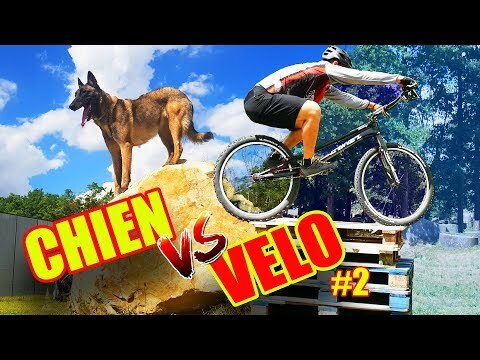 Aurelien Fontenoy takes on a trials feature challenge against this trail dog. Who will jump the highest? Who will go the fastest ? This is the challenge of the day.